But back to the Bering Sea. The crab tender was headed to King Island, a tiny, rocky landmass between Russia and Alaska. Now uninhabited, the island was home until the early 1960s to a small indigenous hunting and fishing community that included Kane’s mother and grandparents. Eventually, under the Bureau of Indian Affairs’ assimilation policy, they were pressured to leave. 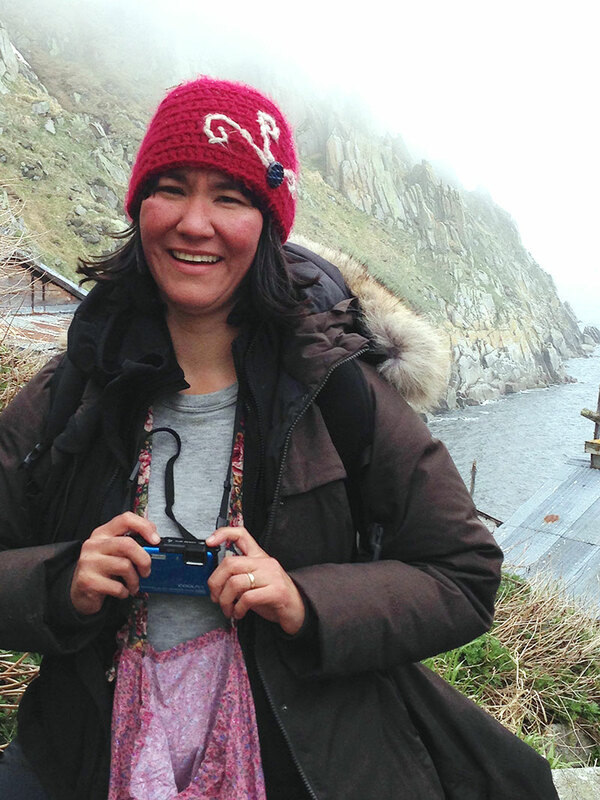 Though Kane was born after they left the island, she describes a childhood filled with stories of its landscape, with “cliffs at 45-degree angles, rising straight up out of the sea.” The island, and the Inupiaq language, culture, and history so deeply tied to it, have shaped her life and writing. So this past summer, after a successful crowd-funding campaign, she and a small group of fellow King Island women returned. It was the first time she had set foot there. “It’s one thing to hear; it was another thing entirely to go,” she says of the trip’s hazards. She had hoped to take her mother and young sons, but conditions on the island and the reality of arctic sea travel prevented that.